Most folks looking to lose weight start out with the best intentions. They want to lose fat, probably build some lean muscle and become mentally & physically healthier. But even with the best intentions, many people approach fitness–especially losing fat and dieting–as a negative experience. They assume to lose fat, they need to focus on eliminating, restricting, and following the perfect plan. While there are things that will undoubtedly need to be reduced or eliminated, the truth is that you'll be much more successful if you focus on positive changes that include adding, swapping, and moderating. All while following a sustainable plan. Here are three common mistakes people make when planning their fitness regimen, and how to fix them. This way, losing weight is rewarding, not troubling. The majority of diet programs are centered around elimination. But, clearly, there is a reason for this. To lose weight, we have to eat in a calorie deficit. No and's, if's, or but's about it. ….but… if you only ever focused on restricting, you'll be setting yourself up for disappointment later down the road. Everyone slips up on their fitness plan at one point or another. You’ll miss a workout, overeat at a family dinner, or have 2 or 3 (maybe four) too many drinks at your friend’s wedding. When you're focused on restricting, the smallest screw-up or error will cause an unproportionate amount of guilt and regret. Focus less on Restriction and more on Adding/Swapping. Instead of restricting certain foods, add in healthy alternatives or swap high-calorie foods with low-calorie ones. For example: Add in a serving of low-calorie vegetables with each meal. Or, you could take it a step further and swap a high-calorie food (like french fries) for a low-calorie alternative (such as a plain baked potato). Instead of restricting how much you use Facebook or Netflix you watch, start adding in more daily exercise. Or, alternatively, you could swap that third episode of The Office for a 20-minute walk outside? The bottom line: The negative mindset created through too much restriction can lead to shame and guilt when things don't go as planned. Instead, focus on positive changes like adding or swapping. You'll find that by adding and swapping healthier alternatives, you'll naturally begin to reduce the amount of high-calorie foods you eat and the time you spend on sedentary activities like Facebook and Netflix. We tend to think of things as black or white. Either we eat cheeseburgers and get fat, or we eat kale salad and get lean. This is a gross overstatement for what’s really going on. I’ve already talked about health foods and dieting in a previous article, but the short answer is that food quality is far less important than food quantity when it comes to losing weight. The reason it’s easier to get fat from eating cheeseburgers as opposed to kale is that the former is much higher in calories for less total food volume whereas the latter is lower in calories for more food volume. The simple fact is that weight loss comes down to calorie balance. You could eat exclusively "healthy" foods and still gain weight if you consume too many calories. Likewise, you could eat twinkies and lose weight if you’re consuming few enough calories. So, the first issue is that simply eliminating certain foods won’t guarantee weight loss. You’ll still have to focus on how much food (and calories) you’re consuming each day. The second issue with focusing on elimination is that–similar to restriction–it will lead to a negative mindset when things go astray. Cheesecake Factory. Pumpernickel Bread. Enough Said. and you freaking. love. bread. Your friend/spouse proceeds to take a large piece of pumpernickel bread (your favorite) and spreads a slab of butter all over it. Your mouth begins to water and your hands tingle. You can’t fight the urge. You grab a piece (pumpernickel, of course), shove it down your throat and instantly feel shame and guilt blast through your veins. There will be nights when you have the best intentions, but like any other human, your cravings exceed your willpower. (and, unfortunately, your high-cravings to low-willpower ratio will only intensify the longer you diet). The problem with focusing on elimination is that you create an all or nothing mindset, and it’s what typically leads to overeating and binge eating. 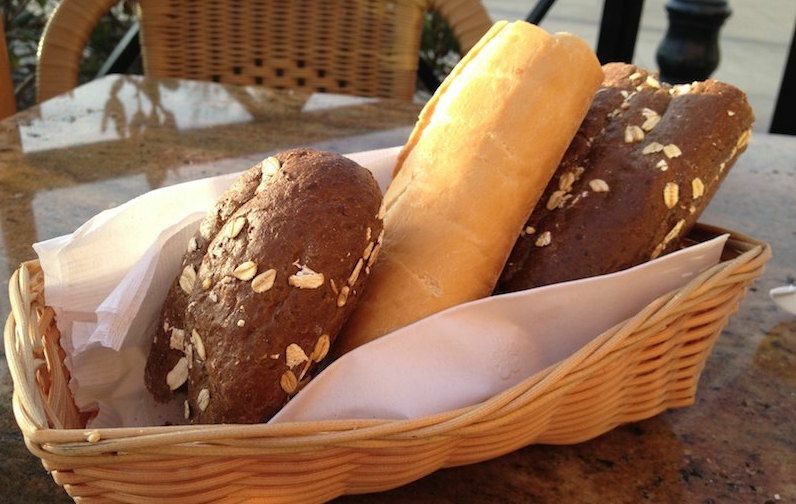 Instead of one piece of bread, you allow for none, and if (or when) you give into your temptations, you're so ashamed that you eat the whole basket. Instead of completely eliminating certain foods from your diet(i.e. bread, candy, chocolate, etc. ), focus on allowing these foods in moderation. In the bread scenario above, you would have been better off allowing for a moderate amount of bread (one or two pieces). Not only would you have been able to enjoy the doughy goodness, but you would have also reduced the risk of binging and going over your calorie goals. In my article Trigger Foods vs. Food Cravings, I talk about how there are some foods that are more likely to lead us to binge than others. I've found that it's usually best to keep trigger foods, or food that we have little control over, out of reach. The issue, though, is that there are situation–such as the bread scenario above–where a particular trigger food may not always be avoidable. But, if you go into the evening with a moderation mindset rather than an elimination one, you’ll be much less likely to go out of control. Another suggestion is to plan ahead of time. 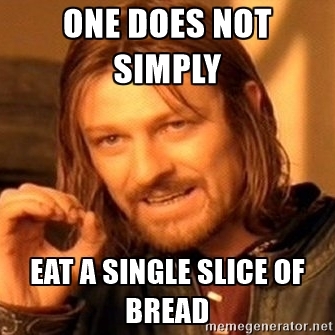 If you know you're going out to a restaurant where you'll be tempted to overeat, plan out your calories ahead of time to include a slice (or two) of bread. Remember, it always comes back to calories. As long as you account for the food you’re eating in your daily calorie goal, you can allow for moderation and flexibility. The Bottom Line: Eliminating certain foods from your diet will only make you crave them more which could lead to overeating or binge eating. Instead, allow for the foods you crave in moderation. As long as you are being accountable by tracking them or only having a small amount, you won't blow your fat loss progress. This one is a somewhat tricky. The first question we need to answer is this: What is the perfect plan? And the truth is that a perfect plan doesn't really exist. Sure, there are more optimal approaches to losing fat and building muscle, but at the end of the day, anything that involves being more active and eating in a calorie deficit consistently is going to help you lose weight. In my opinion, lifting weights and accurately counting calories and macronutrients (especially protein) is the most efficient protocol for losing fat and building muscle. But it’s only effective if it’s followed consistently. You've probably heard you should be lifting weights while dieting (maybe from me). So you start doing it and after a few weeks, you still hate it. Chances are you won't be consistent with it, and even if you continue to lift, you may only give half your effort. However, let’s say you love to go for runs and enjoy doing 5k’s every other weekend. In this situation, I would encourage you to do what you enjoy and run. Just because something is optimal, does not mean it is sustainable. You have to enjoy what you're doing with both your exercise and diet protocols in order to stay consistent and see long-term results. Often, what is the most sustainable exercise and diet regimen is the one that you most enjoy and experience the least amount of mental resistance performing. The Bottom Line: Instead of worrying about finding the perfect or "most optimal" approach for fat loss, do what you enjoy and be consistent with. At the end of the day, a sustainable approach beats out an optimal one. Quick note: I mentioned in the video how strength training plays a major role in fat loss because it's needed to stimulate muscle growth. Follow exercise protocols that you enjoy, but it will be in your best interest to include some type of resistance training. Some forms other than strength training include CrossFit, calisthenics, or High-Intensity Training or hiking - which provide more resistance for your muscles that regular cardio. Everyone has an ideal look or weight that they have in mind when starting their fitness journey. It might have been that Instagram model in perfect lighting or the old photo you found from high school showcasing your thinner and leaner self. Either way, you were left with an ideal outcome for your own progress. In fact, having a clear end goal is powerful, and the more specific you can be with your goals, the more motivation you'll have. The issue, though, is that there’s no guarantee that what you envision your outcome should be will, in fact, become reality. In response, you may become disappointed for not achieving the exact look or weight that you set out for in the beginning. Instead of worrying about a particular endpoint or outcome, focus on the process and journey.Not only will you experience more joy and satisfaction in the moment, but you'll get better results because you aren't stressing about achieving a certain look or hitting a specific body weight. I hope you got value from this article.If you did, It would be YUUGGE (in Donald Trump voice) if you were to share it with someone (or multiple someones) who you think could get value from it.